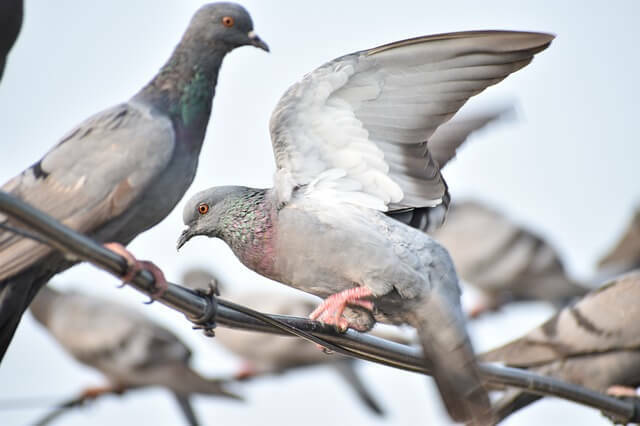 AS Pest Control provide an efficient, affordable and professional bird control service in Mansfield including the removal of pigeons. Available 24/7 we offer a quick and reliable service to conveniently remove the bird problem. Do I Have a Bird Problem? In some cases it is an infestation of other pests such as bird mites, biscuit beetles or bird fleas that indicate you have a problem with birds. Another noticeable sign is bird droppings which are a potential disease hazard or being woken up early by the sound of young birds being fed in the nest. Bird droppings can cause stone work damage, unpleasant smells and even erode paint and metal pipes, all of which can be expensive to correct. Contact AS Pest Control and we can provide a free onsite bird control Mansfield quotation. Finding out what type of bird is causing the problem is important because this will affect how they are treated. Most birds are protected, pigeons being an exception. If protected the steps required to prevent the problem need to be different. The birds that are most likely to cause a problem in residential premises are Starlings or Sparrows. These are protected so any proofing and/or removing has to be carried out once the nest is finished with. Soundly constructed buildings do not normally have a problem with birds as they cannot gain access. If birds are gaining access the long term solution may require construction work. AS Pest Control provide Bird Control in Mansfield. Prices are determined following an initial survey. AS Pest Control will perform a full survey to determine the required steps to prevent birds accessing the area. If building work is required as a long term solution our measures would only be temporary. We can install anti perch spiking, bird netting, wiring systems and deterrent sound systems dependant on the individual property or building. Under a General License we can recommend lethal methods of control when all non-lethal methods of control have been tried and failed. AS Pest Control provide a local, affordable bird control solutions for residential and commercial customers in Mansfield, Nottingham, Derby, Chesterfield, Worksop and surrounding areas.